Let’s Face it Everyone wants to know How To Make Great Pizza! Let’s Face it Everyone wants to know how to make Great Pizza, but what is great pizza? Is it the Char? Is it the Crust? Is it the Cheese or Sauce? Or is it all the above blended together to make the perfect pizza. As we all know pizza is one of the most diversified foods on the market today. So many styles and cooking alternatives it’s almost impossible to please everyone. But let’s start with the basics and the foundation for your pizza The Dough! 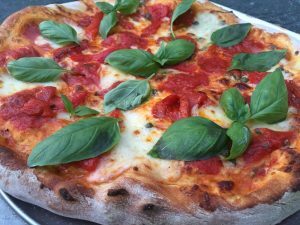 Great dough: Making crispy pizza is what I like, I do like some char and I do like some flavor. I am what I consider a pizza fanatic (like so many of us) and have been in the Industry for most of my life and a World Champion pizza maker. So the dough is key and again with so many styles ill only talk about what I like best and how to make great pizza! 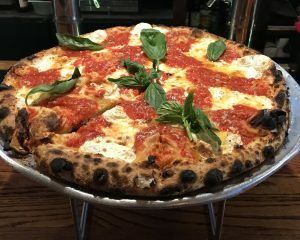 New York Style Brick Oven Pizza. 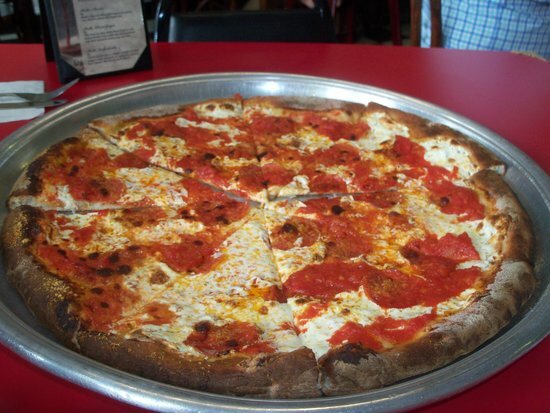 Growing up in New York was like growing up in pizza heaven. You could get pizza on almost every corner. Most of the pizza was really great, so many Italian immigrant pizza makers and their families had their own special way of cooking pizza and truly took pride in what they did. We had no “chain pizza places” that just wasn’t pizza. We had plenty of small restaurants, bakeries and some very special places that I loved and frequented almost daily. But I really loved the Brick Oven style pizza that was not truly a mainstream item like it is today. 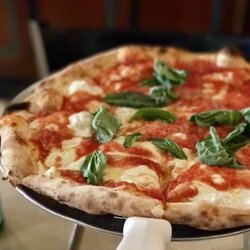 Some of the first and pizza shops who made what I call “New York Brick Oven Pizza” where Lombardi’s Pizza, Patsy’s Pizza York City, Totonnos Pizza of Coney island in Brooklyn and Johns of Bleaker street. on Spring Street in New York‘s Little Italy was established in 1905 when he began selling tomato pies cooked in a coal oven and wrapped in paper and tied with a string. In 1924, Totonno left Lombardi’s to open his own pizzeria on Coney Island called Totonno’s. It is owned by Louise Ciminieri and known for its lines out the door, longevity, and delicious food. Pero can be seen in a photograph with Lombardi, whose employ he left in 1924, “shortly after the subway started running out to the hinterlands of Coney Island, and opened his own place there”. John Sasso, an immigrant from Naples and another pizzamaker for Lombardi’s on Spring Street, sprang for his own coal-oven pizza place in 1929. John’s became a pizza mecca in its own right, though it kept the tradition of no slices, and it’s still cash only. John’s stayed open through the Great Depression and hasn’t slowed since. Cooking with a coal oven that has been grandfathered in since the beginning. Now each of these places has their own style of pizza, but the fresh mozzarella imported tomatoes (dolloped on) and high heat with perfect dough is what does the trick. They are not using imported flours but American high gluten flours and family recipes. Basic Ingredients, aged dough, Imported plum tomatoes, fresh mozzarella, olive oil and a lot of passion. 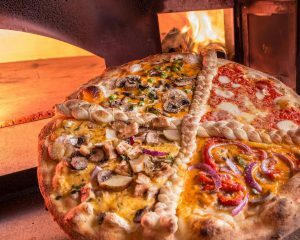 So if you want to know how to make great pizza you better stop by some of these great places and get a taste of how it all began!